Hong Kong is one of the most scenic harbor cities in the world. One of the best ways to enjoy this beauty is to take a trip on the Star Ferry. 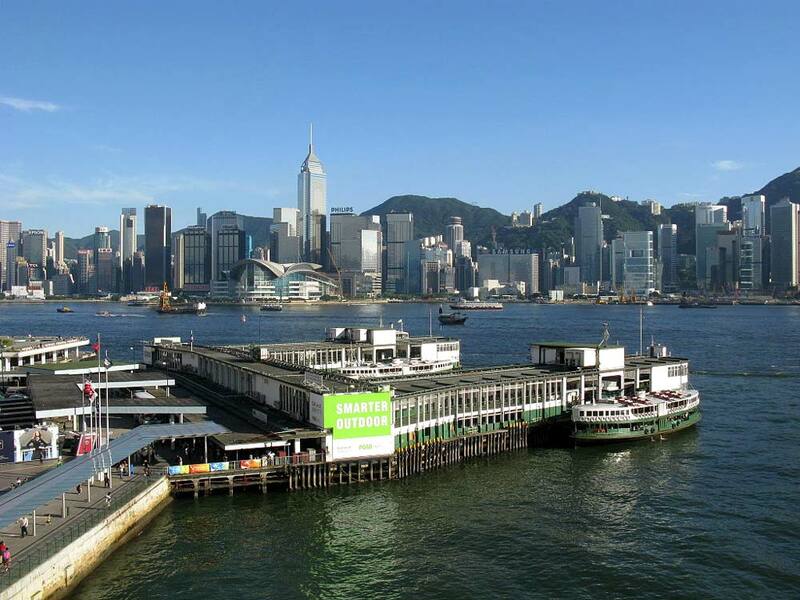 The ferry has a long history and has been taking passengers from Hong Kong Island to Kowloon since 1888. At one time this was the only way to go from one side to the other. One does not need to take the ferry to commute anymore as the two sides are well-connected by modern roads. However, the ferry is very charming and worth taking a ride on. Every year millions of people make use of the ferry to see the magnificent harbor. The Star Ferry has even been given the title of one of the Top 10 Best City Boat Trips by National Geographic. The rechargeable Octopus card can be used for paying the fare. Vending machines at the piers also issue tokens. You can also pay in cash, but you have to give the exact change or forfeit the balance. Currently, the fleet consists of nine diesel-electric ferries and a tug. The history of the regular ferry service goes back to 1888 when the Kowloon Ferry Company was founded. The first ferry service was actually started before this in 1870 by a gentleman named Grant Smith who ran an irregular service using a wooden boat. Smith’s boat was purchased by an Indian Parsee merchant named Dorabjee Naorojee Mithaiwala and he started the Kowloon Ferry Company. He later bought two steam vessels called Morning Star and Evening Star. The service became popular and the fleet grew from two to four vessels in a decade. The capacity of each vessel was 100 people and, on average, 147 trips were made every day. He incorporated his business into a formal company called the Star Ferry Company In 1898 before his retirement. In 1898, he retired and went to India after selling the ferry company to the Hong Kong and Kowloon Wharf and Godown Company Ltd. The Star Ferry was the principal public transport between the two locations for a long time. In 1972, the Cross Harbor Tunnel was opened and it took that role from the ferry. Currently, it operates as a franchise from the Government. In 2003, a custom-built ferry with a design similar to the one which operated in the 1920’s was introduced for harbor tours. It has a coffeehouse and a deck where people can relax in the sun and sip on beverages while enjoying the view. It is very popular with the tourists. Most visitors feel that a ride on the Star Ferry is an absolute must. It is like taking a ride on a piece of history. The view is wonderful and some nice touches are also there, like the benches with movable backs which allow you to face the direction of the journey. It is great to relax and enjoy the scenery and probably the best way to see the harbor. Most people recommend the upper deck for the best view. The Star Ferry is indeed a living piece of history and if you are visiting Hong Kong, be sure that you have set aside the time for this wonderful ferry ride because your trip will be incomplete without it.